2018 World Runner-up and defending event winner Lakey Peterson (USA) exits the Boost Mobile Pro early after being eliminated by Sage Erickson (USA). 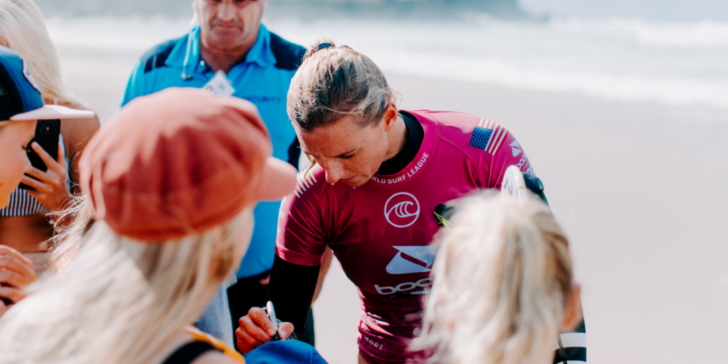 COOLANGATTA, Queensland/AUS (Friday, April 5, 2019) – The Quiksilver Pro and Boost Mobile Pro Gold Coast, the opening stop on the World Surf League (WSL) Championship Tour (CT), continued today with elimination Round 3 in three-to-five foot ( 1-1.5 metre) waves at the event’s backup site, Duranbah. 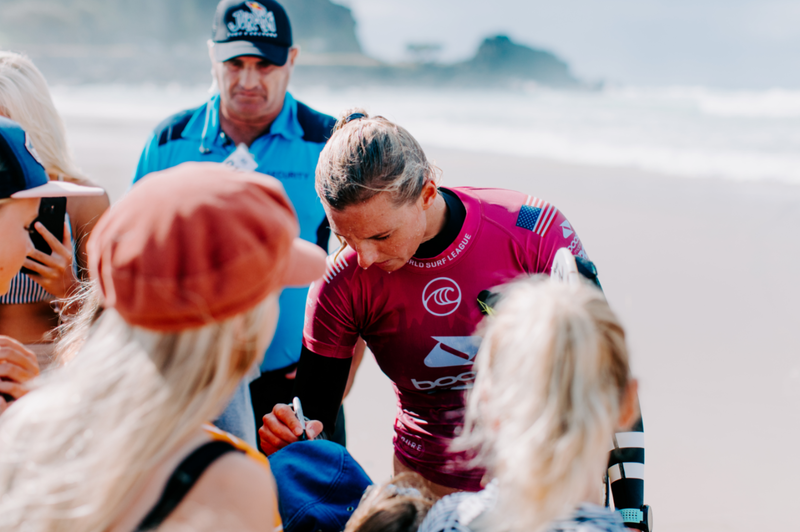 To capitalize on conditions, the CT ran the overlapping format for the first time outside of the Billabong Pipe Masters. Reef Heazlewood (AUS) put the world’s best on alert after a captivating performance over Julian Wilson (AUS), World No. 2 and 2018 Quiksilver Pro Gold Coast winner, in Round 3 Heat 5. A mix of powerful carves and high-flying aerial maneuvers sent the event trials winner into Round 4 with an immaculate two-wave score of 16.07 (out of a possible 20). Wildcard Reef Heazlewood (AUS) flies through another heat at the Quiksilver Pro Gold Coast, taking down defending event winner Julian Wilson (AUS). Two-time WSL Champion John John Florence (HAW) put his time into coming back at one-hundred percent for a World Title campaign this year and showed he hasn’t lost any of his signature style in a dominant Round 3 bout against last year’s event runner-up Adrian Buchan (AUS). 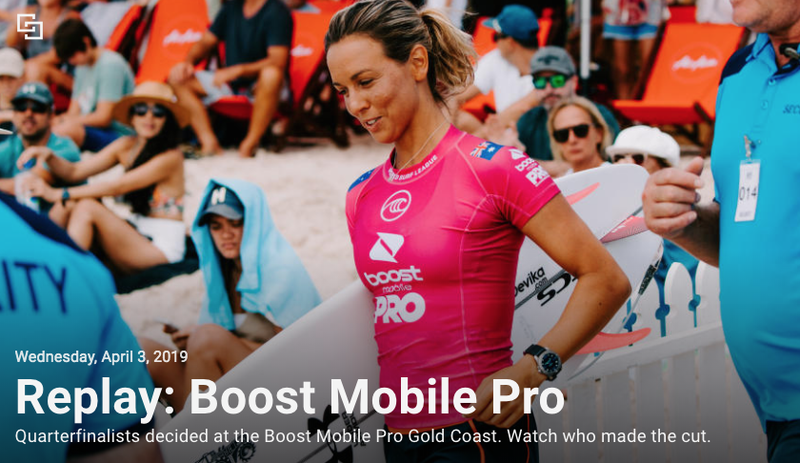 The next call for the Quiksilver Pro and Boost Mobile Pro Gold Coast will be tomorrow at 6:30 a.m. AEST, when event organizers will reassess the conditions to decide the event’s location and schedule.